Blood pressure falls into five general categories, ranging from normal blood pressure to hypertensive crisis (This is very dangerous). The level of your blood pressure will determine the course of treatment your physician may require. To get an accurate blood pressure measurement, your doctor should evaluate your readings based on the average of two or more blood pressure readings at three or more office visits. What’s a Normal Blood Pressure? An optimal normal blood pressure level is reading under 120/80 mmHg. 120 represents the ‘top’ number, known as systolic blood pressure. Systolic: The blood pressure when the heart is contracting. It is specifically the maximum arterial pressure during contraction of the left ventricle of the heart. The time at which ventricular contraction occurs is called systole. 80 represents the bottom number, known as the diastolic blood pressure. Diastolic: Referring to the time when the heart is in a period of relaxation and dilatation (expansion). The diastolic pressure is specifically the minimum arterial pressure during relaxation and dilatation of the ventricles of the heart when the ventricles fill with blood. For many years, readings over 120/80 mmHg and up to 139/89 mmHg were classified as ‘pre-hypertension,’ within the normal to high range. However, the American Heart Association and the American College of Cardiology have recently changed the blood pressure guidelines. Now, anything between 120-129 systolic pressure with diastolic pressure under 80, is considered ‘pre-hypertension.’ This is when your doctor will recommend you get proactive and make diet and lifestyle changes because, during this early time, you can greatly reduce your risk of cardiovascular problems. Blood pressure over 130/80 mmHg is now considered to be high. A hypertensive crisis is blood pressure above 180/120 mmHg. If you experience blood pressure this high it is a medical emergency, so do not delay in visiting the hospital or calling 911. Make sure your feet are flat on the floor, and legs are uncrossed. Ensure your arm and back are properly supported. Ensure your arm is bare, and the blood pressure cuff is on the skin, not over any clothing. Make sure you do not talk and that you have at least three minutes of quiet time prior to the measurement. According to research, your blood pressure can elevate between 2-40mmHg by not following the simple guidelines for checking blood pressure. This can result in you being prescribed medication that you did not need. Now can you see why it is so important? Please, when you visit your doctor ensure they follow these guidelines while you are getting your blood pressure checked. I have seen medical technicians checking a patients blood pressure when the patient was laughing. NOTE: Under these new guidelines, normal blood pressure has not changed, it is still below 120/80 mmHg. Only the higher ranges have changed to provide earlier intervention, with the goal of reducing the incidence of heart disease. Elevated blood pressure is difficult to determine from one single reading. For instance, many people get what’s called ‘white coat hypertension.’ This is anxiety produced by the thought of visiting the doctor’s office. Sudden or increased anxiety can temporarily increase blood pressure levels, which can give an inaccurate reading. Therefore, your physician may recommend you have regular blood pressure checks or use a home blood pressure monitor to record several readings. Check your device’s accuracy. Before using a monitor for the first time, have your doctor check its accuracy against the office model. Also, have your doctor watch you use the device to see if you’re doing it properly. If you drop the device or damage it, have it checked before using it again. Don’t measure your blood pressure right after you wake up. You can prepare for the day, but don’t eat breakfast or take medications before measuring your blood pressure. If you exercise after waking, take your blood pressure before exercising. Avoid food, caffeine, tobacco, and alcohol for 30 minutes before taking a measurement. Also, go to the toilet first. A full bladder can increase blood pressure slightly. Sit quietly before and during monitoring. When you’re ready to take your blood pressure, sit for five minutes in a comfortable position with your legs and ankles uncrossed and your back supported against a chair. Try to be calm and not think about stressful things. Don’t talk while taking your blood pressure. Take a repeat reading. Wait for one to three minutes after the first reading, and then take another to check accuracy. If your monitor doesn’t automatically log blood pressure readings or heart rates, write them down. Average readings tend to be lower at a younger age and increase with age. During late adolescence years (around 17-19 yrs old) doctor typically begins to follow the standard adult guidelines for high blood pressure. As we age, our bodies become more susceptible and at higher risk of developing high blood pressure. According to the National Institute on Aging, males are more likely to have high blood pressure before age 55, while normal blood pressure for women tends to see a rise in after menopause. Women are less likely than men to experience complications associated with high blood pressure. 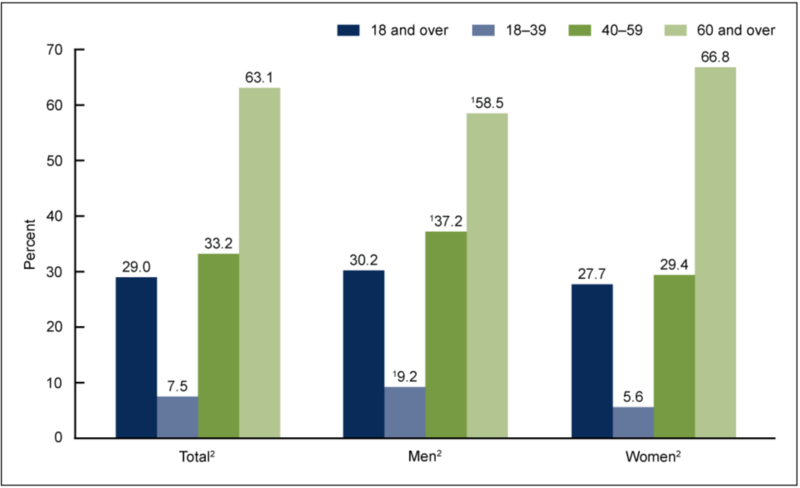 However, regardless of differences in the prevalence and complications of high blood pressure between the sexes, treatment and diagnosis are the same for both men and women. Why is normal blood pressure so important? Maintaining normal blood pressure is essential for heart health. When your blood pressure is high, your heart and arteries can become overloaded. High blood pressure can accelerate the buildup of plaque on the artery walls (atherosclerosis), clogging blood flow to your heart muscle, putting you at risk of heart attack. It also weakens the walls of arteries in your brain which can cause a stroke. It can affect arteries to other parts of your body too, such as the eyes, kidneys, and legs. Long-term high blood pressure is known as hypertension and is one of the main risk factors for heart disease. Reviewed by Dr. Cynthia Thaik, M.D. 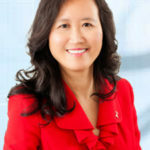 Dr. Cynthia is a Harvard-trained Los Angeles cardiologist. Grilled Black Sea Bass Over Summer Vegetables with Japanese Dressing.